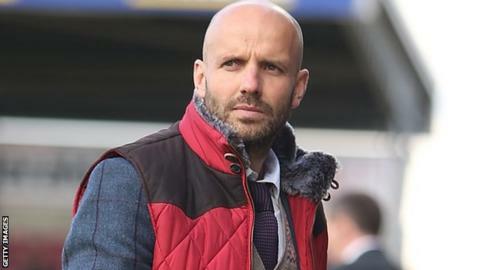 Exeter City manager Paul Tisdale has said the financial boost of the club's televised match at Warrington in the first round of the FA Cup has come at just the right time. City will pocket £67,500 as and they will also get an extra £18,000 should they win. "It's a very welcome boost to the coffers," Tisdale told BBC Sport. "We are particularly tight at the moment with our cash flow." City were placed this summer after being forced to because the club's projected income did not match their actual takings. The Grecians have only and have a side largely made up with players who have either come through the club's youth ranks or from non-league football. "If we get any cash injection into the club it only comes from one of two sources; the sale of a player or this type of situation with a TV game or a cup draw with a big crowd," added Tisdale. "Any opportunity to get a cash injection in a lump sum is few and far between so it's a big boost to the club."